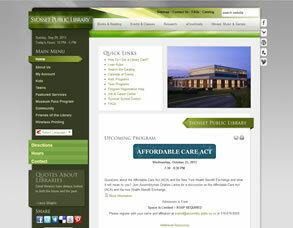 Syosset Public Library built a fantastic site in Joomla. This comprehensive project took a few months to complete. With the assistance of the Technical rep at the Syosset Public Library we were able to build a system, worthy of such a great place.